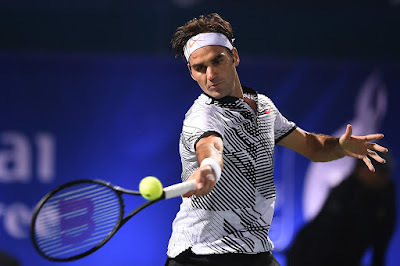 Roger Federer squandered three match points in a shock 3-6, 7-6 (7), 7-6 (5) second round loss to Russian qualifier Evgeny Donskoy at the Dubai Tennis Championships on Wednesday. Federer looked poised to claim his ninth victory of the year when he held match points at 6/4 and 7/6 in the second set tie-break, before Donskoy fought back to force a decider. Federer looked to have regrouped when he broke in the sixth game of the third set and served for the match at 5-3, but again he failed to close out victory, losing his serve to 30. Donskoy then turned the tables as he broke Federer in the 11th game. But, serving for the biggest win of his career against the 18-time Grand Slam champion, the Russian was broken to love as the pulsating match when to a deciding tie-break. Federer once again put himself in a commanding position as he led 5/2 with two serves to come. But in an astonishing turn of events, World No. 116 Donskoy reeled off the final five points of the match to prevail in just over two hours. “I had my chances. I should somehow close it out. Don't know how it got away, but he did very well. It's a rough one, for sure,” Federer said. “But tennis is this way. Margins are small. A fast court like here, you can't find much rhythm. Next thing you know, you're struggling. “Maybe I wasn't really committed enough. Commitment in tennis is a big thing. In the first round I was. Today I wasn't, really. That sort of is a feeling you get and it trickles in an entire game. I thought I returned way better in the first round. Today I really struggled on the return. I didn't quite really time it well. Yeah, timing I thought was off for me today. Legs also felt slower out here tonight. I felt tired all day. I tried to get myself in shape, and, you know, like warm up properly, do all the things I always do, regardless if it's a first round or a final. It is just the third time since 2007 that Federer has been beaten by a qualifier (2013 Hamburg vs Delbonis; 2015 Shanghai vs Ramos). The Basel native suffered his first defeat of the 2017 season, having made a remarkable comeback from a five-month injury layoff by defeating Rafael Nadal to win the Australian Open. 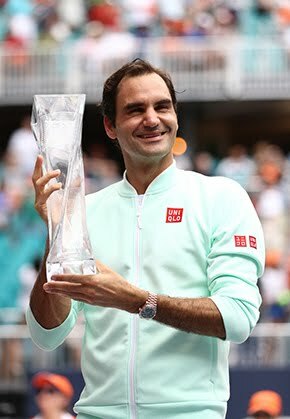 The 35-year-old Federer was bidding to win the title at this ATP World Tour 500 tournament for the eighth time. He drops to a 48-6 tournament record. Through to his first ATP World Tour quarter-final since a semi-final showing at 2015 Moscow, the 26-year-old Donskoy will face seventh seed Lucas Pouille. “I surprised everyone today. I think whoever wins against Roger surprises himself,” said Donskoy. 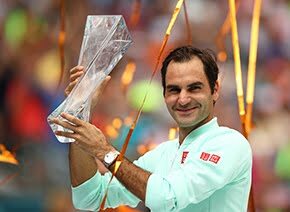 “I can say it's a dream come true, but I don't like this, because you always want to win, even if it's Roger.